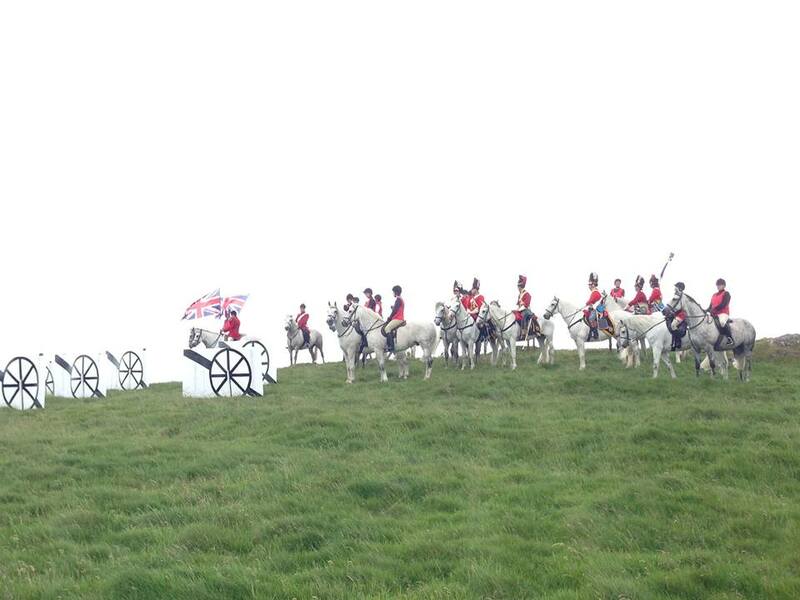 On Sunday, June 28, the famous broadcaster and journalist, Peter Snow was in the Borders to narrate a unique re-enactment of The Battle of Waterloo, which featured over 300 Borders horses and riders. Mr Snow narrated while Borders Olympic equestrian hero, Ian Stark, played the part of the Duke of Wellington. 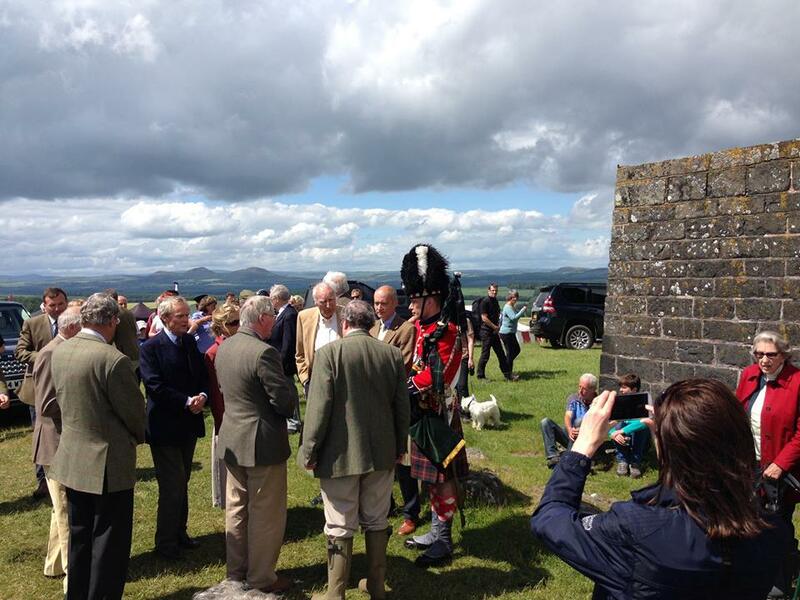 The current Duke of Wellington joined the crowds at the event. Penielheugh 200 saw the famous 150-foot monument, erected to celebrate the Duke of Wellington’s victory over Napoleon at Waterloo in 1815, used as the setting for the unique commemoration of the 200th anniversary of the battle. The remarkable tower located near Jedburgh and known as either the Waterloo Monument or Wellington’s Pillar, was erected by the 6th Marquis of Lothian to commemorate Wellington’s victory. It is believed to be the most significant monument to the Battle of Waterloo in Scotland. The event featured pipe and marching bands, fireworks, music and an array of local food stands and craft stalls. Spectators were also entertained by horses and soldiers from the Royal Scots Dragoon Guards, whose predecessor regiment, the Scots Greys, were famed for their bravery at Waterloo. 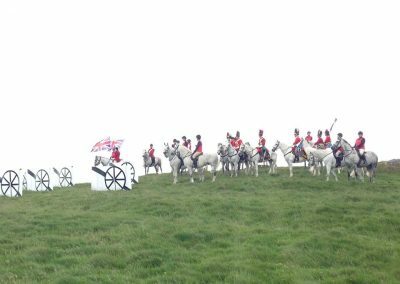 Titanium Fireworks were delighted to be asked to provide special effects for the battle re-enactment including smoke, cannon charges and musket fire. The day’s activities were closed with a spectacular pyromusical daylight display fired from the top of the hill, a fitting tribute to an amazing day. Credit goes to Foyle Fireworks for the music production for the Pyromusical daylight display. 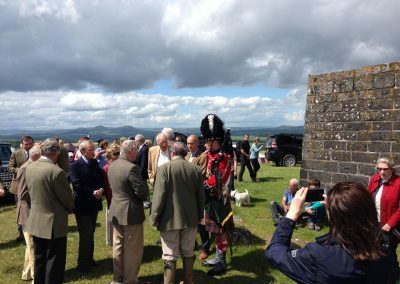 Penielheugh 200 was being organised by Lothian Estates and a committee of local people, and was being supported by sponsors including businessman and military history enthusiast, Lord Ashcroft. We were delighted to work with Foyle Fireworks to produce this special event.